There are three public holidays in France in May which is more than in any other month. Do you know what these public holidays are and what they represent in France? Read on. The 1st May is ‘la Fête du Travail’. It has been a paid public holiday in France since 1947 and is traditionally a day on which trade unions campaign for and celebrate workers’ rights. Not surprisingly, this is also the occasion for trade unions to organise protests in large cities. You should also be aware that just about all shops will be shut on the 1 May public holiday in France, so get your food shopping done over the weekend! The 1st May is also known as la Fête du Muguet, or lily of the valley day. This tradition dates back to the 16th century when Charles IX was apparently given a sprig of lily of the valley by a courtier on the 1st May. 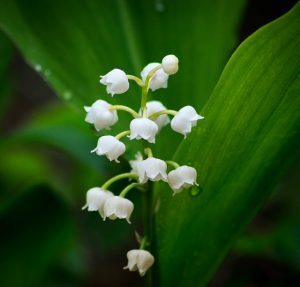 It has become popular over time due to the fact that lily of the valley generally flowers at around this time and is known as the symbol of Springtime in France. It is also associated with happiness and good luck and it is customary to exchange bunches of lily of the valley with friends and family on the 1st May. Many people believe that the more bell-shaped flowers there are on the flowerhead (it must be a minimum of 13!) the more good luck will be bestowed, so count carefully before you go offering any! The 8th May is Fête de la Victoire or Victory Day in France. This national holiday celebrates the end of WWII in France as declared by Charles de Gaulle on the 8th May 1945. 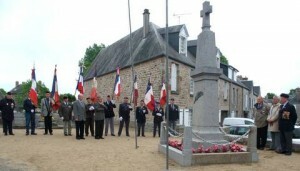 It is celebrated with parades and ceremonies as wreaths and flowers are laid with some pomp and ceremony at war memorials in towns and villages all over France. The French flag is displayed on public buildings and outside homes and patriotic songs are sung. Over the years, the date of this national holiday has changed numerous times. It was only in 1982 that the 8th May was finally accepted as both an official national holiday and a public holiday. As such, businesses, banks and post offices will not be open and most shops will be shut for the public holiday. However, there will usually be a boulangerie open in most areas and some supermarkets will be open until lunchtime. 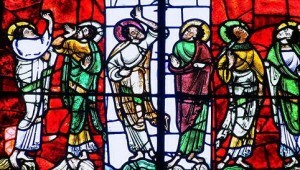 The 29th May is la Fête de l’Ascension and an important date in the Christian calendar as it celebrates Jesus’ ascension to heaven. As this public holiday is always on a Thursday it conveniently enables the French to ‘faire le pont’ which means ‘Making the bridge’. In real terms, many companies and schools close on the Friday too, so people use the opportunity to get away for a long weekend break. For this reason, the roads may be busy in certain parts of France. Although banks, offices and post offices are closed on the 29 May, many supermarkets will be open in the morning and as always there will be a boulangerie open somewhere in tour area! So, it’s not surprising that May is probably the favourite month of the year for many French people! If you are going on holiday to France in May, make sure you take note of the public holiday dates so you don’t get caught out.